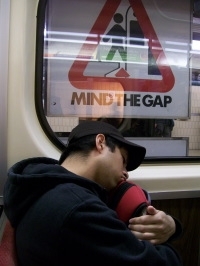 Several studies are looking at the effects of sleep deprivation on workplace safety. With the upcoming switch to daylight saving time — which means losing an hour of much-needed sleep — workers are cautioned to pay extra attention to safety. Every year on the second Sunday in March, the majority of Canadians and Americans turn their clocks ahead an hour for a much welcomed extra hour of daylight, and in the process they sacrifice precious minutes of sleep. So goes the start of Daylight Saving Time (DST), which continues until the first Sunday in November. Based on analysis of a U.S. Bureau of Labor Statistics database that tracks how Americans use their time, employees on average get 40 minutes less sleep on the Sunday night of the switch to DST. That loss of sleep may not seem like much but a study by Michigan State University researchers has found that the Monday following the switch to DST can be a particularly dangerous one. These researchers analyzed information from the U.S. National Institute of Occupational Safety and Health database of mining injuries from 1983-2006. Their research showed that there were 5.7 per cent more workplace injuries and 67.6 per cent more workdays missed due to injuries on the first Monday following DST than on other days. This research suggests that less sleep may increase both the incidence and severity of injuries. The increased danger isn't just confined to the workplace. The Insurance Corporation of British Columbia (ICBC) reports a higher driving risk the first Monday after DST. According to statistics averaged from 2005-2009, on the Monday following the start of DST, car accidents increased 23 per cent. Perhaps not surprisingly, people have a much easier time adjusting to the switch back to standard time. The same rates of accident and injury do not occur on the Mondays in November when people gain an hour. So, as the second Monday in March approaches, pay extra attention to employee schedules, sleep and safety, because as the statistics show, the gains in daylight with DST may come at a human cost. Rest up: Go to bed earlier to get your usual amount of sleep so you can be well rested and alert. Defer the dangerous: Schedule particularly hazardous work later in the week (where possible) after employees have had more time to adjust their sleep schedules. Plan ahead: Give yourself extra time to drive to and from work, especially during the Monday commute, to avoid a potential accident. Step up the safety: Take extra safety precautions and assign extra safety monitors on days following the switch to DST to help avoid potential workplace injuries before they occur. This article originally appeared in the Health and Safety Report newsletter by the Canadian Centre for Occupational Health and Safety.